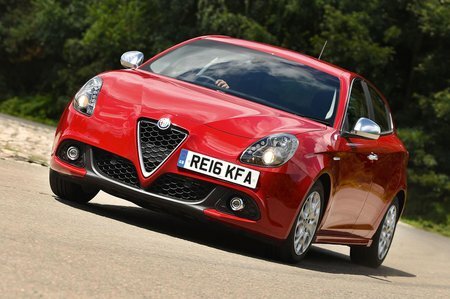 Alfa Romeo Giulietta 1.75 TBi 240 Veloce 5dr TCT 2019 Review | What Car? What Car? will save you at least £1,522, but our approved dealers could save you even more. Flagship model comes only with the most powerful engine and a semi-automatic gearbox. You also get lowered sports suspension and twin exhaust tailpipes. This turbocharged petrol engine is reserved for the range-topping Quadrifoglio Verde model. With 237bhp it has plenty of power, but it all arrives rather suddenly and the standard TCT semi-auto transmission can be unresponsive at times. Refinement is ok, but fuel economy and CO2 emissions aren’t especially competitive.